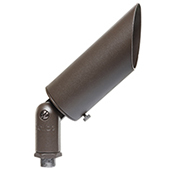 Halco LED Outdoor Luminaires are long-lasting, low maintenance, energy efficient replacements for HID luminaires. Halco’s Floodlights, Wallpacks, Full Cutoff Wallpacks, Vaportights and Canopy Light are designed for commercial and industrial applications. Equipped with performance engineered LED technology, they offer an optimal combination of efficiency, optical control and long life. Durable die-cast aluminum construction protects against rust, corrosion, dirt and insects in outdoor, wet location environments from -40°F (-40°C) to 113°F (45°C). 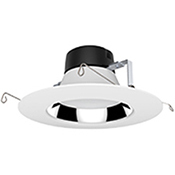 Halco backs LED Outdoor Luminaires by a 5-Year Limited Warranty. This Guide will make it easy for you to compare LED Outdoor Luminaires’s versus HID traditional source’s lumen output. With LEDs, quality surface illuminance uniformity and increased levels of vertical illuminance are achieved versus HID light sources. 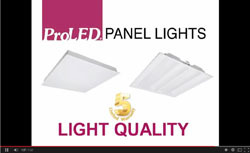 LED technology can translate to lower optical losses, higher luminaire efficacy and more uniform distribution of light. 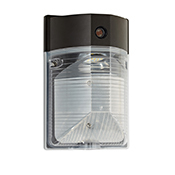 HID lamps are high-intensity near-point sources. The optical design for these luminaires causes the area directly below the fixture to have a much higher illuminance than areas farther away from the luminaire. In addition, an HID lamp’s lumens are known to depreciate quickly over time. The output is lost to the fixture and the atmosphere. Unlike HID, Halco LED luminaires deliver all the lumens to where you need them. 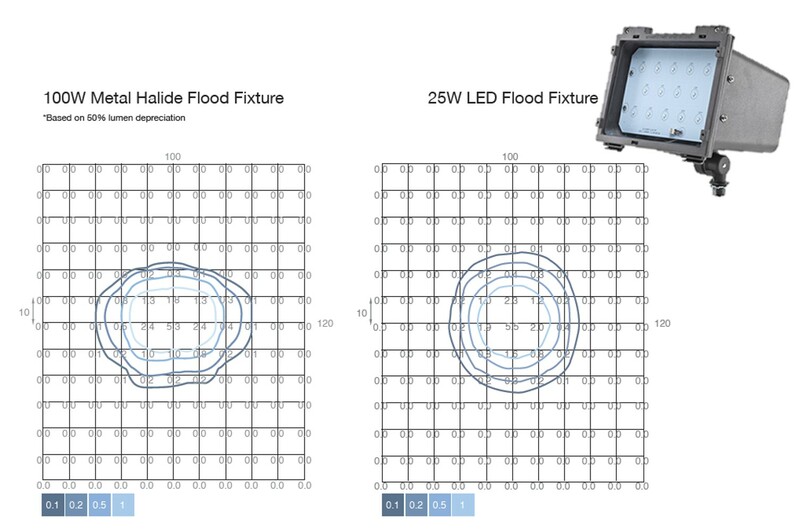 Click here to view Halco’s LED Outdoor Luminaires Photometric Guide and see for yourself! Halco Lighting Technologies® ProLED® Panel Light fixtures provide an energy efficient alternative to Linear Fluorescent recessed fixtures. Halco offers two unique styles – the Panel and Volumetric Series – in a direct backlit design which is more consistent in its appearance than edge-lit panels.